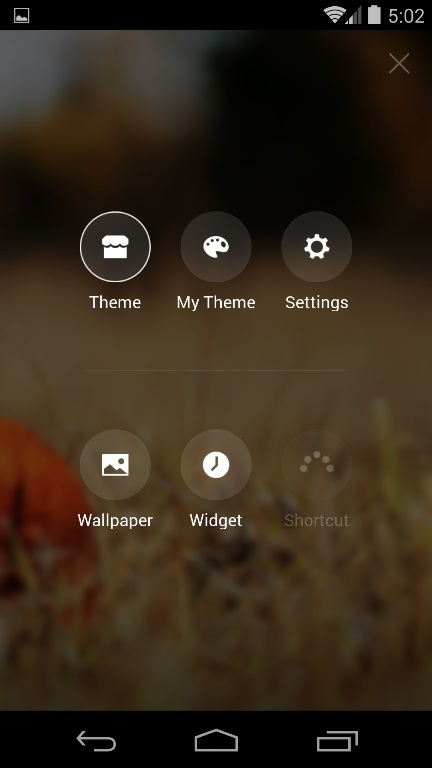 Want to change the default lock-screen theme of your android with some of the best High Quality themes. If Yes, then you have to try the free android application called dodol locker – phone decor. A perfect way to change the whole look of you android lock screen. Not only this, you can do lots of customization on your lock-screen with this app. The app is packed with some awesome features which supports widgets, app shortcuts and custom wallpapers. 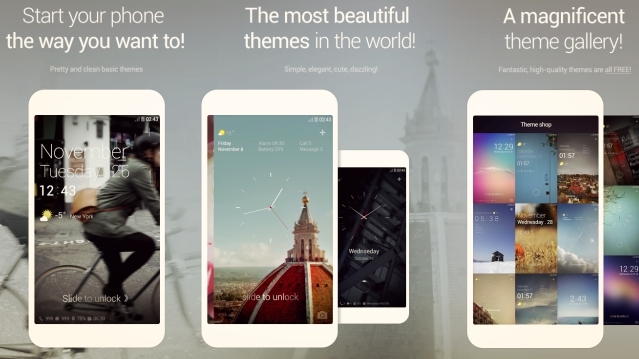 The application has lots of Hiqh Quality themes like natural basic themes, simple, elegant, cute, pretty, and dazzling themes, as well as iOS style themes. 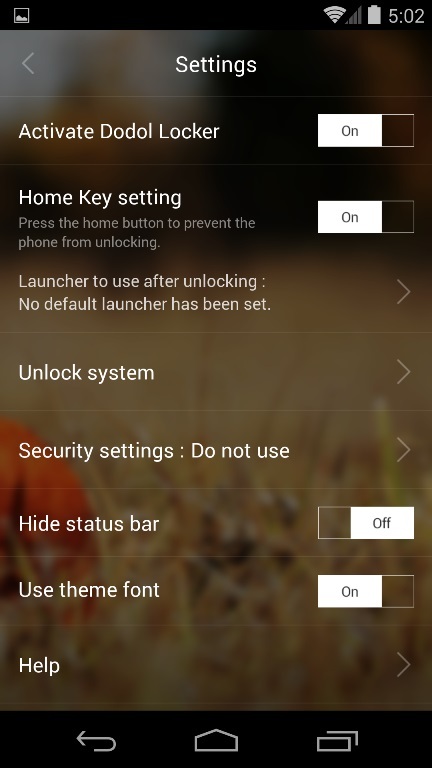 All the theme comes with different features and different shortcut which you can apply on your android lock screen and customize them as per your need. One feature we like most about the application that the wallpaper of the application will automatically changed once you unlocked the phone. Every time you will see the new wallpaper on your Lock-screen, when you trying to unlock your device. Open the Google play store application on your pone and search for the dodol locker app and install it. You will find the direct download link at the end of this guide. Once the application is installed, run it and set it as a default lock screen of your phone. Now the lockscreen is activate on your phone, click the + button from the top right corner of the screen and you will see the options of the app like Theme, My Themes, Settings, Wallpapers and Shortcuts. See the image below for the example. 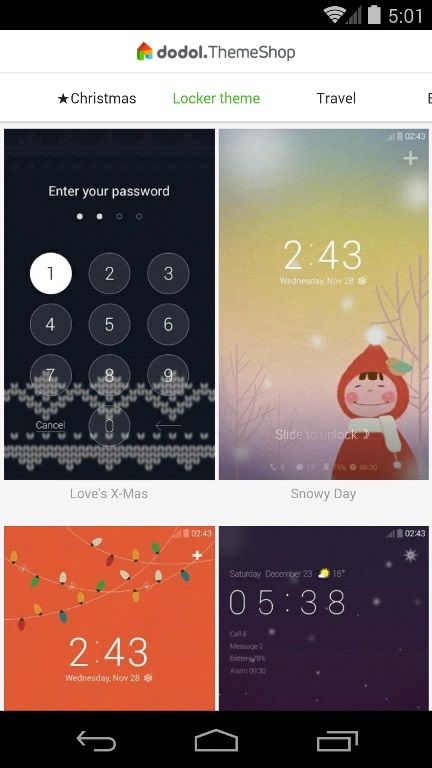 From the theme you can download lots of theme on your device and apply them as your lockscreen. All the theme come with different feature and shortcuts. Once the theme is applied on your device you can customize it from the Setting option of the app. Other main feature of the app is widgets, From here you will add and remove lots of widgets on your phone lock-screen. Add clock, Add date, Weather, missed call alert, SMS alert, Battery status, Alarm etc. All in all, we can say that Dodol Locker is one of the awesome and must have application to replace your phone’s default lock screen. For those looking for new ways to change the look of android and want to enjoy some elegant themes on android, this app is worth a try. I am using it since 2 days and it’s really awesome. The theme and the simplicity they provide, I haven’t find in any of the locked till today. It’s great fast lock with better customization.